Bravo is giving Vanderpump her own reality show — “Vanderpump Rules” — which shows her trying to balance life as an owner of what is arguably West Hollywood’s most celebrity-focused restaurant while serving as mother to Pandora, 24, and Max, 18, and wife to Ken Todd, her husband of 29 years. And then there’s the job of managing a Beverly Hills home celebrated for Vanderpump’s multi-thousand-square-foot custom closet, featured on E! Online. Their previous home, which they sold after Pandora and Max moved out on their own, was lost in a fire in June, well after the Vanderpump-Todd’s sold it for a rumored $19 million. The drama in the first episode of “Vanderpump Rules” focuses on her management of the Sur staff, a crew that’s glamorous in its own right. Staffers include Jax Taylor, identified by Bravo as an actor and model; Katie Maloney, who describes herself as a “music supervisor;” Kristen Doute, an actor; Scheana Marie, an actor and singer; Stassi Schroeder, a model and fashion writer, and Tom Sandoval, an actor and model. The issues Vanderpump must deal with include various sexual liaisons among the staff. Vanderpump and Todd, with a joint net worth estimated by various gossip sites at around $150 million, own more than two dozen restaurants in the U.S. and abroad, including Villa Blanca in Beverly Hills. Their partners in Sur are Guillermo Zapata, an Argentinian chef, and his French wife, Nathalie. Vanderpump expanded the restaurant last year by opening Sur Lounge, which launched with a regular event called “Temptation Thursdays” by promoter Jeffrey Sanker to attract a gay crowd. 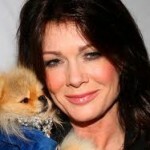 A WeHo psychotherapist has some relationship advice for the Vanderpump gang. Read it here. The Real Housewives of Beverly Hills eat at Sur. Should you? Find out here. How boring! This is one show I will skip! I am getting bored with all the Real Housewives shows and now this spin-off? I guess the Vanderpumps need the money. Lisa is very classy on the shows, I hope with all my heart that her and Ken live a long and happy marriage. It has to be stressful under camera and under tabloids most of your life. Please Ken and Lisa walk away from any stress of shows if they ever get too close and start problems in your marriage. My cousin has been in your restraunt and my Aunt quite often. My cousin lives in Malibu my Aunt lives in two homes Malibu and also Just into a neigjboorhood area she calls a bit more tasteful and quiet then Beverly Hills. My huusband will retire–semi from our main company and I asked for a 40′ Motorcoach home but a enclosed trailer to take my 1962 corvette with me, Surprise he bought it for us. We will be visiting your places for martinis and food Jan.,2014..Its our new something different fun. I want to see my cousins and visit my uncles home, for awhile missing him. He passed away a dear loving single extremely wealthy man that lived on the side of a whole Mt..in Albequerque , N.M..owning Calvin Scott a large drug firm. Bless you Ken and Lisa please do not let media ever hurt your marriage. You both are beautiful classy and never over speak. A suggestion wrte a mans side of ediquette and flip the hard back book over and Lisa write the womans version of ediquette. Im old fashion at probally the same age. Ah, the pinnacle of class and good taste: Beverly Hills Housewives and the Vanderpumps. The first episode: “The issues Vanderpump must deal with include various sexual liaisons among the staff.” Just what we all need to know about running a restaurant. Will the Mayor and City Council of West Hollywood be giving Lisa the key to the city ala Rhianna? And will they present it in WEHO or in Beverly Hills?